Applicant: Habitat for Humanity, Inc. In 2011 Habitat for Humanity, Inc. (Habitat) requested and received $80,000 in partial support of a $285,600 project to build two single-family dwellings with a shared wall on Glenwood Avenue, one three-bedroom and one one-bedroom home. The homes were sold to households earning not more than 80 percent of the area median household income (AMI) and will be maintained as affordable in perpetuity. The future resale price is indexed to AMI to ensure ongoing affordability to families with the same income profile. 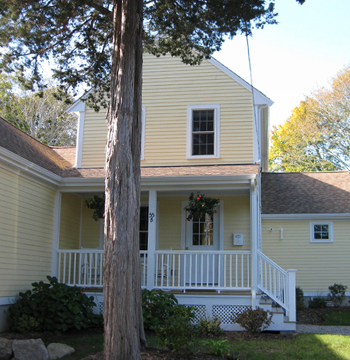 According to the Cape Cod Commission’s “Affordable Housing on Cape Cod” (October 2014), in 2014 Falmouth needed housing for approximately 600 first-time homebuyer residents who were earning between $45,000 and $85,000 annually. 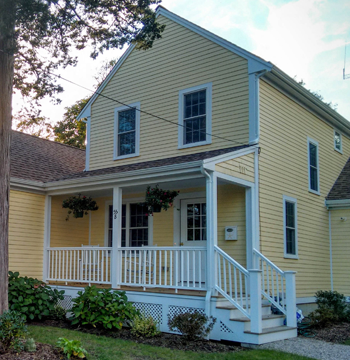 Massachusetts is one of the most expensive housing markets in the country and Cape Cod is 10 percent more expensive than the rest of the Commonwealth. At the same time, wages on the Cape are 35 percent lower than they are in the rest of the Commonwealth. From 2005 to 2014, low-income households with housing problems increased by 34 percent on the Cape. In 2014, over 400 households qualifying for rent subsidies (Section 8 vouchers) were on the waiting list for affordable rental housing that qualified for and participated in Section 8. Habitat requires that its homebuyers develop sweat equity during the construction of their homes, 500 hours for a two-adult family, 250 hours for a one-adult family. Other funding for the Glenwood Avenue homes came from in-kind contributions of materials and services, grants, sponsorships, and developer’s equity. The houses were completed and sold to two families in in October 2014.